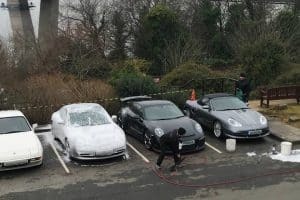 Better than breakfast at Tiffany’s, is breakfast at Porsche! Porsche. A symbol of class and good taste since the 1930’s. Whenever we hear the name, we can’t help it, we let a wee envious ‘Woo’ escape. Who wouldn’t. We are lucky enough to have a fair few Porsche owners amongst our customers. 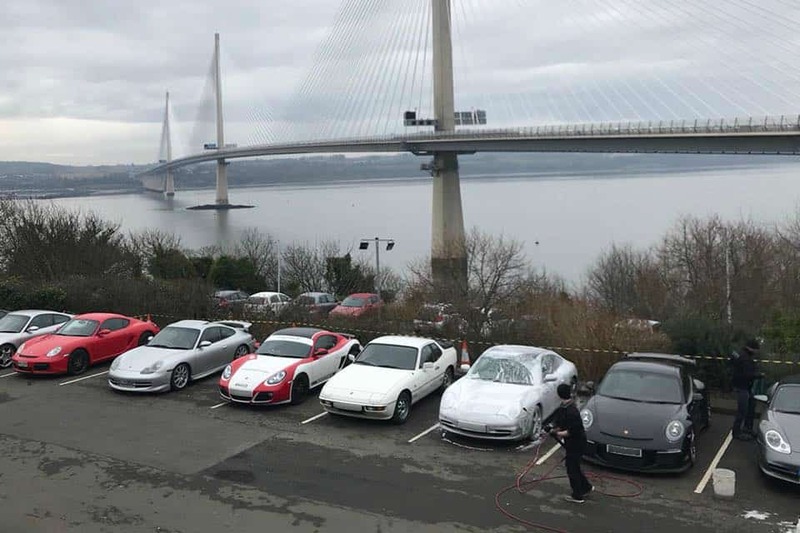 And we were also lucky enough to be invited along by Donald who is the Scotland South Regional Manager to the latest gathering held by the Porsche Owners Club in North Queensferry on February 18th, and demonstrate our Safe Wash technique after a well-deserved cooked breakfast. From a classic and timeless 911, to the fan-favourite 996, to the sporty Cayman, to the racing-goddess GT3, we were surrounded by Porsche Beauties. And we were not complaining! 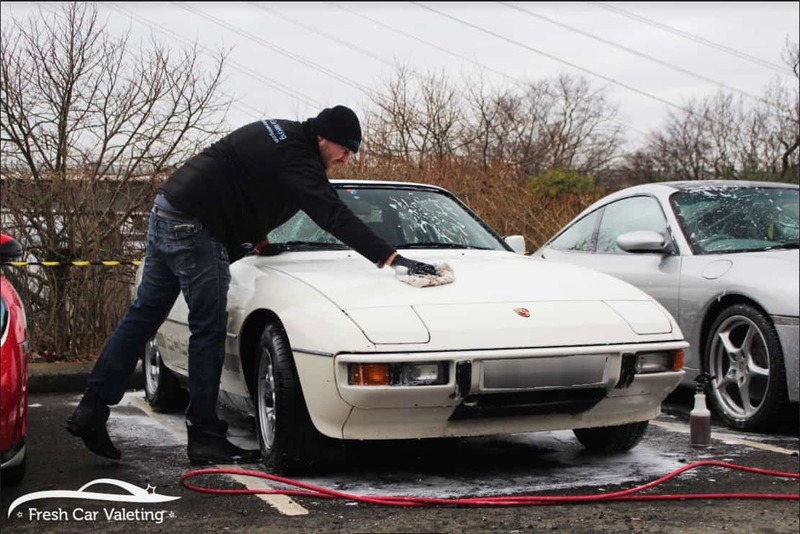 Sam and Rafal were hard at work for a couple of hours but enjoyed giving their shine back to the gorgeous motors. 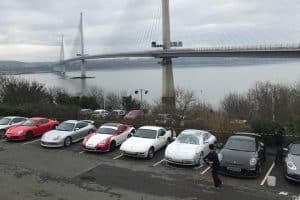 Held in North Queensferry, this gathering was one of many events that Donald is organising this year for Region One (the region North of the Border but South of Perth, for non-members) of the Porsche Owners Group. 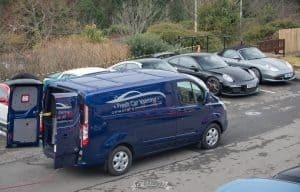 If you are a Porsche owner, or a Porsche enthusiast, feel free to check out the PCGB website here or contact Donald for more information. In the meantime, here are a few pictures of the event. 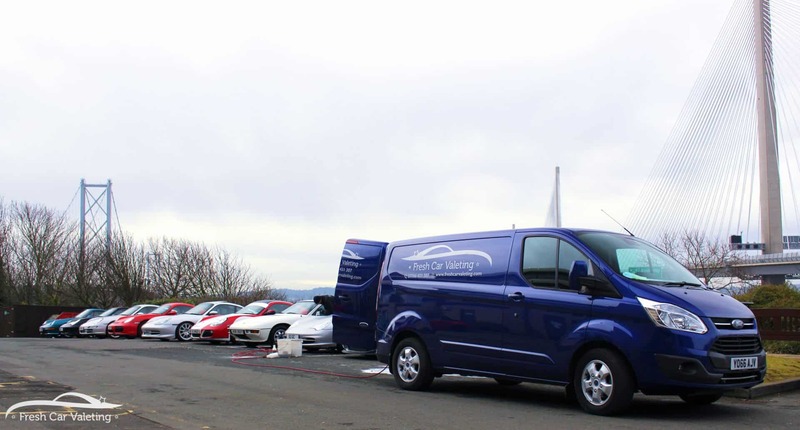 A sight for sore eyes!